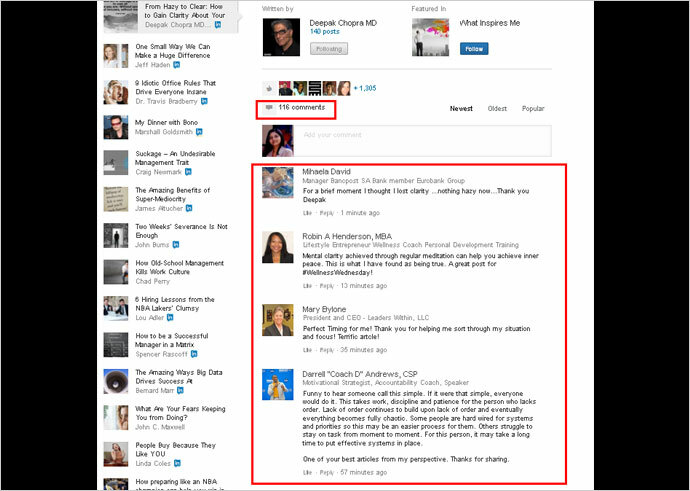 Sharing your expertise and knowledge has become easier than ever through LinkedIn Longform. Initially, this platform was confined to the popular influencers only. However, they could not ignore the wonderful ideas and knowledge other small businesses and professionals had, who were unfortunately not so famous. As this exclusive blog publishing feature is rolled out for all the LinkedIn users, why not make the best out of this opportunity. It will give you a perfect platform to further build your personal brand by garnering the right exposure. Share your knowledge and expertise, build trust, create a large community and become a well-known thought leader, people would seek advice from. Isn’t it a perfect strategy to gain that dear visibility you are seeking for? Social media platforms like Facebook, Twitter and LinkedIn are wonderful tools to get that required visibility. But, you need to have ‘something’ to promote! LinkedIn Long-form will give that ‘something’. 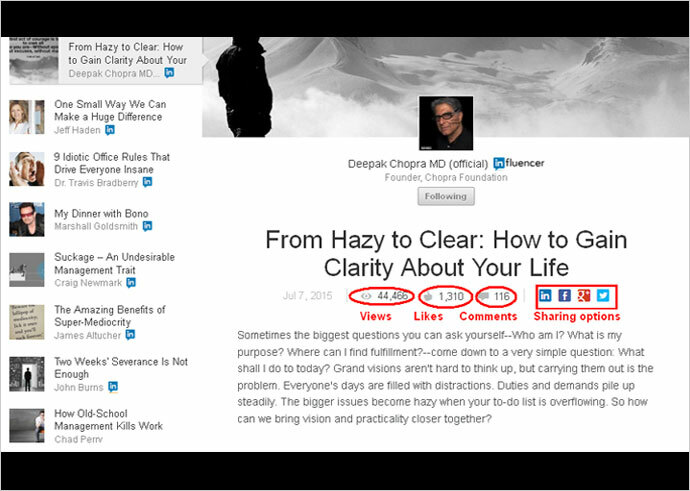 Have a look at the following long-form of Deepak Chopra, one of the popular influencers. As a marketer or businessman, you attend several conferences and events online and offline, meet several people and build connections. Over a period of time, you simply forget them. If you wish to create your brand’s visibility, you need to keep connections fresh. Long-form gives you that wonderful excuse to stay connected and revive your relationships online. You can get in touch with them by asking for their feedback on your content through messages or through comments, thus indirectly promoting it. This is the comment section of the same long-form given above. To get some more idea about how engaging post are written, check out some the popular influencers like Arianna Huffington, Richard Branson, Daniel Goleman, Bill Gates and others on LinkedIn Pulse. Writing on a longform platform is as easy as shooting the fish in the barrel with its easy to understand interface. Have a look at screen shot given below. You have to simply choose an appealing image that justifies your content perfectly and makes your post look pleasing. 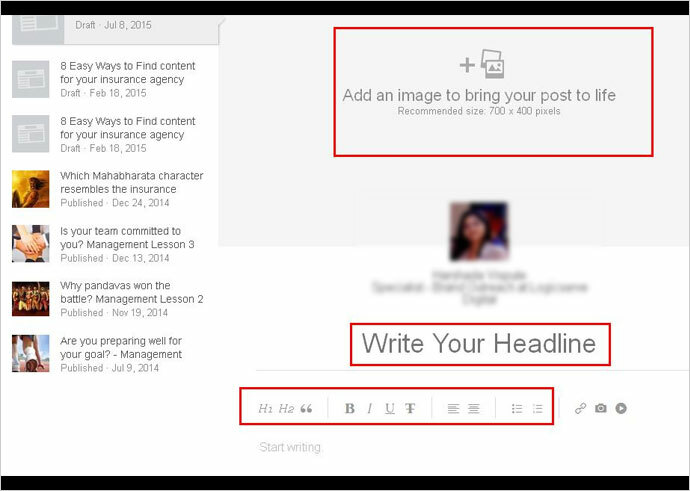 Write an attractive headline that grabs your readers’ attention. 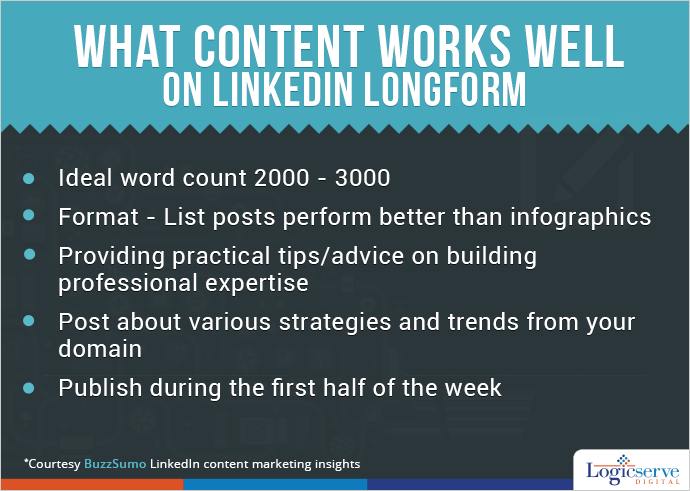 (Read on to find what type of content works on LinkedIn). Let’s have a look at the power LinkedIn long-form cherishes online. Did you know LinkedIn long-form posts gains more than 300 likes, 25000 views and over 200 comments? Even on a normal day, LinkedIn’s Slideshare is visited by almost 4 million people who upload around 13000 new pieces of content. As per the survey, 80% of B2B leads come from LinkedIn, unlike Twitter, Facebook and Google+ that generates only 12.73%, 6.73% and 0.21% leads respectively. So, LinkedIn is much more than just building relationships and creating brand awareness. It goes further to generates leads and increase your conversion ratio. 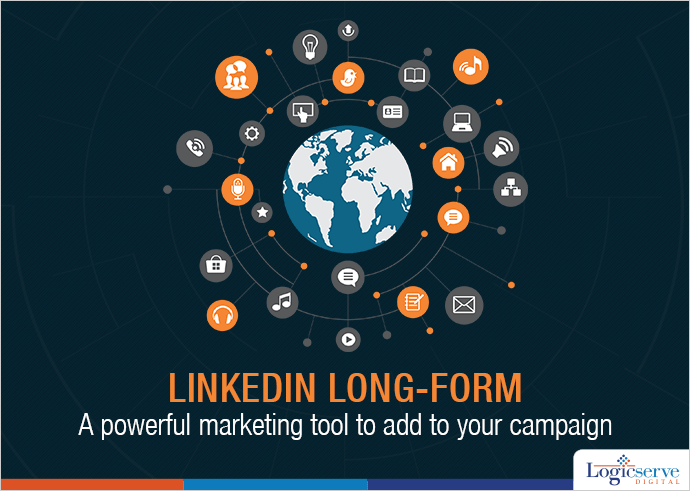 So, to conclude LinkedIn long-form is the must have tool and should be added to your marketing campaign right away! Well, we have a smart tip for you! Include some influencers and expert tips in your content and inform them that they are included through a message. Ask them to promote the blog on their social platform, as a favour. Believe it or not, people are very generous. They like to do favours. Also, mention that you will be happy to help in return, whenever they need. This will do the trick!